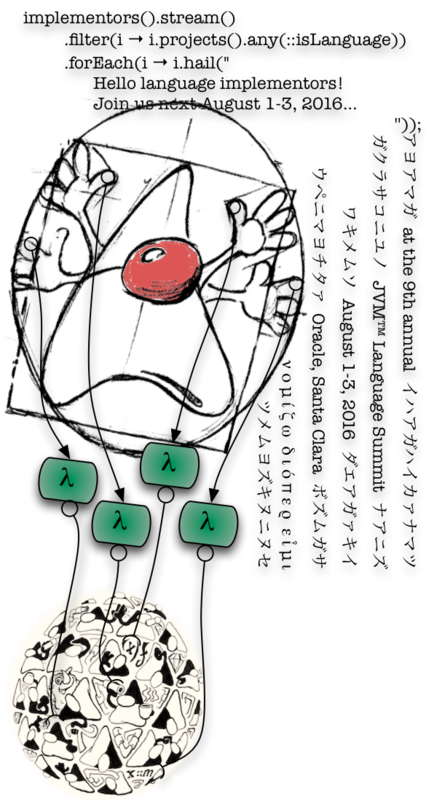 The 2010 JVM Language Summit is an open technical collaboration among language designers, compiler writers, tool builders, runtime engineers, and VM architects. About 80 language and VM implementers attended last year—and over one third presented. For more details about the talks, please see the tentative agenda. Space is limited: This summit is organized around a single classroom-style room, to support direct communication between participants. There will be a mix of presentations of various lengths. We have reserved the largest conference room on Oracle’s Sun Santa Clara campus, which seats up to 90. If the available space fills up, presenters and implementors will be given priority.